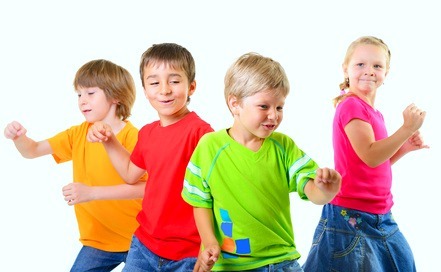 Want to have an easy time keeping all the kids entertained even with age differences? Then I’ve got a move for you! 1. Sing the youngest’s favorite song while you hula hoop. No hoop needed, just the hips! 2. Got his/her attention? Try it again at different speed. Then try it higher or lower or even spiraling high to low and back. 3. Answer this question: What did the kids do when they saw you? If there was any version of giggling, copying you, making up a new move, or even just watching in awe, then you got it! The answer lies in the imitativeness of lower-body movement. Animals, including people, pay close attention to core and hip movement . And little kids copy to be in conversation with you . Sometimes it’s annoying when you didn’t realize you dropped that word-bomb in front of them and they immediately parrot it. But sometimes it’s as adorable as the kids pulling out your accessories or shaving cream and trying them on like they saw you do. Why not try this trick with other songs? You can sneak in some squats or pendulum swings from side to side. Get creative and see how creative the kids get, too. Time will fly and nobody will say they’re bored while you all sing and dance together! I’ve got more musical tips and tricks for having fun together and helping your kids’ creative side bloom. Try my free kids music quiz book at Mother In Tune. 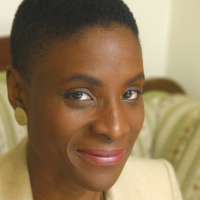 Bio: Ekanem Ebinne, the Musical Child Mentor, helps moms & kids joyfully teach themselves music with online videos at Mother In Tune. She’s inspired by 10 years of teaching ages 3 to 8 and 20 years of performing music. 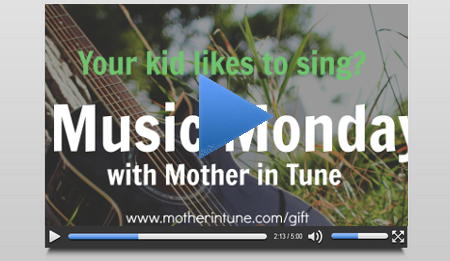 Discover your child’s bright musical future at Mother In Tune. Follow her on Twitter. References:  Skrba, L, O’Connell, I & O’Sullivan, C. (2008). Eye-tracking dynamic scenes with humans and animals. In Creem-Regehr, S & Myszkowski, K (Eds. ), Proceedings of the 5th Symposium on Applied Perception in Graphics and Visualization. Paper presented at APGV 2008, Los Angeles, California, USA, 9-10 August (p. 199). Trevarthen, Colwyn. IV International Colloquium on Arts for Childhood and Human and Social Development. Companhia de Musica Teatral and LAMCI-CESEM. Lisbon, Portugal. December 12, 2014. Keynote Speech.